Successfully navigating a design-to-delivery process for manufacturing a complex OEM product or assembly not only requires sourcing the right metal fabrication partner, but also sourcing them as early in the process as possible. While your in-house team are experts on what the consumer wants to see in terms of product design, it’s challenging to be an expert in all facets of the design and engineering process to ensure the end product meets exact specifications, exceeds expectations, and minimizes your manufacturing risk. Rather than facing potential production delays due to component malfunctions or product quality issues, it’s critical for OEMs to engage with a fabrication partner “early and often” and allow them to expertly guide the design process around potential pitfalls. Without having a fabrication expert involved early in the process, you may end up wasting precious time, money, and resources on an inferior manufactured product, or worse, an unrealistic, incompatible, or non-optimal part that has to be revisited downstream. You’re leaving opportunities on the table to thoroughly test manufacturing viability, reduce product weight and manufacturing costs, and improve time-to-market by paying attention to the little details during the design phase. A capable fabricator with true metal engineering expertise can recommend design refinements that could significantly impact your product ROI — both in the immediate and long term. A turnkey metal fabricator with in-house design and engineering expertise should be able to advise your engineering team on materials, processes, and tooling methods, as well as provide critical services such as 3D modeling and prototyping to ensure your product or component will be both viable and functional. By fostering close interactions and effective collaboration between their team and yours, the fabrication partner can start to close the gap between vision and reality while gaining critical competitive advantages from design through production. ● Control Costs — Reduce cost creep that can plague even the best of design processes. A turnkey metal fabricator who is an expert in evolving metal engineering practices and fabrication methods can recommend solutions to reduce costs in the concept phase as well as mitigate long-term operating costs due to unnecessarily expensive production processes. ● Optimize for Production — The same fabricator can help you decide on important specifications such as material type and weight early in the process to optimize your part for better throughput during production runs. ● Improve Project Organization and Communication — Using the early and often approach helps your fabricator better coordinate responsibilities and resources between project teams. With every stakeholder on the same design and production page, your fabrication partner can maintain quality control over exact product specifications at every key milestone in the project. ● Minimize Manufacturing Risk — One wrong turn on a particular design element can lead to downstream product disaster, both in functionality and performance. With an early and often metal engineering approach, the design can be verified and the prototype tested repeatedly throughout the process to ensure the end product can withstand a variety of manufacturing conditions. At Mills Products, a key component of our early and often metal engineering process is the Finite Element Analysis (FEA), which helps us analyze the product or complex assembly to predict potential design flaws before production begins. 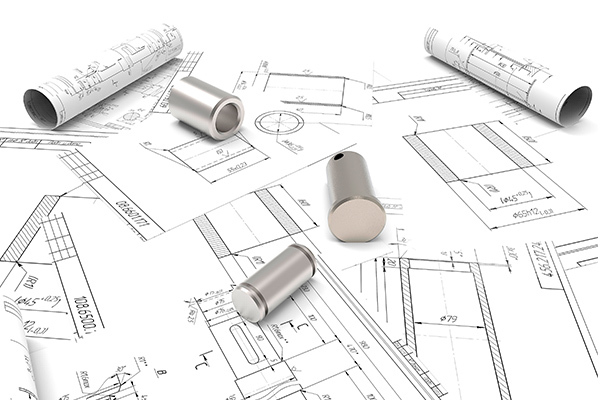 By identifying potential flaws in the early stages of design, we can advise the customer on methods to improve the design and develop a superior end product. During the FEA stage of our process, our metal fabricators utilize customer-generated data to develop prototypes of products and tooling to optimize design and process parameters, simulate tube expansion severity, predict material thinning, and determine failure/success rates prior to manufacturing. The FEA is one of many ways we engage every customer in an overall design and engineering process that focuses on close customer interaction from initial design input through final verification. Having this consistent approach applied to every project ensures consistent, quality output regardless of product complexity. While there are plenty of fabricators who can consult with you at the beginning of the design phase, our approach involves engaging customers at every stage of the design and engineering process to mitigate cost creep and manufacturing risk throughout. To learn more about how our early and often metal engineering approach can help make your new or existing components stronger, lighter, and more economical, please contact us today.